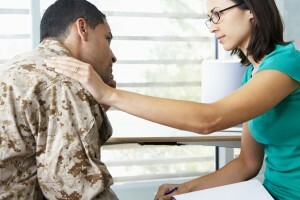 Support is key to dealing with and overcoming PTSD. The support may come from family, from peers, and/or a trained professional. Post Traumatic Stress Disorder (PTSD) is a very serious problem that fortunately, more sufferers and their families, are now being diagnosed and treated for. Recovery can be a long term process with some setbacks and requires the expertise of a dedicated and compassionate therapist. PTSD is often associated with our military servicemen/women returning home from overseas; a particularly troubling statistic is we are losing more of these young men and women from the challenge of dealing with PTSD than we lost from active duty in the theatre of war.Tragic indeed! HOWEVER, PTSD is not only a problem for people with previous military service. PTSD can develop in many other situations where people are exposed to hardships and prolonged stressful situations. If you feel you are a sufferer of PTSD, or you are the relative of one, please reach out for help. You can use our Service Inquiry Form which goes directly to our intake specialist, or call 709 754 2068. Additionally, the Resources Section of our website has a PTSD Book List and some Links to Websites which may offer direction.